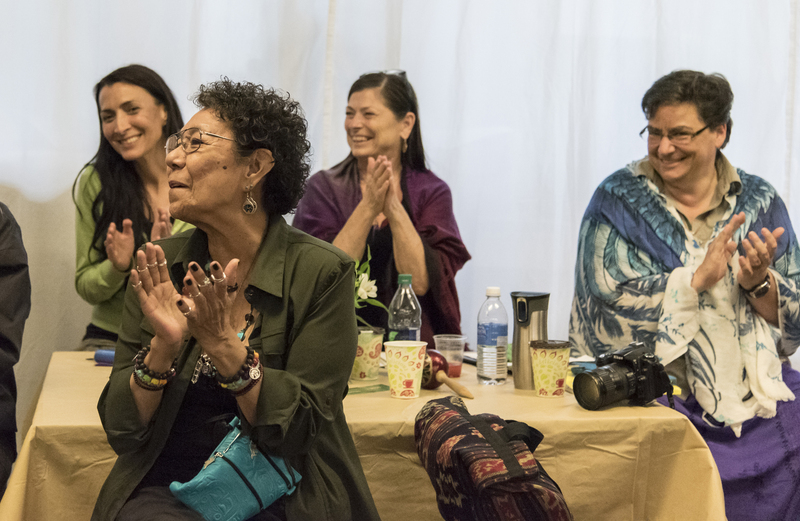 Native Women in the Arts (NWIA) is seeking sponsorship partners for our new Kwe Performance Series. We have the exciting opportunity for matching funds through the artsVest program and are looking for the right partner(s) to reach our goal of $1500. (Or more!) Sponsors need to confirm contributions by August 31, 2016. The Kwe Performance Series 2016-17 is a three part performance series that takes place in Toronto and in Ontario First Nations communities (in the past we have presented in Nippising and Pikwakanagan). This November, the series kicks off with an Inuit artist showcase at The Music Gallery (with performers Ivaluarjuk, Nukariik, and Taqralik Partridge), in January we are presenting Haudenosaunee elder and singer Sadie Buck (legendary! ), and in March we are bringing the groundbreaking trio Ulali. To be eligible for artsVest matching, sponsorship partners need to be for profit organisations. As a small non-profit arts org, we do big things within the Indigenous arts community, and increasingly – thanks to our presenting partners like The Music Gallery – into Toronto’s mainstream audiences. This partnership is an opportunity for exposure to a dedicated audience of women, Indigenous artist and supporters, and a broader reach of the city’s art-loving audiences.